So it’s almost 2019 and New Year’s is just around the corner. From losing weight to learning new skills, there’s so much to achieve throughout the year. But above all of these, there’s one resolution that I’m sure we all want to go after; earn more money. 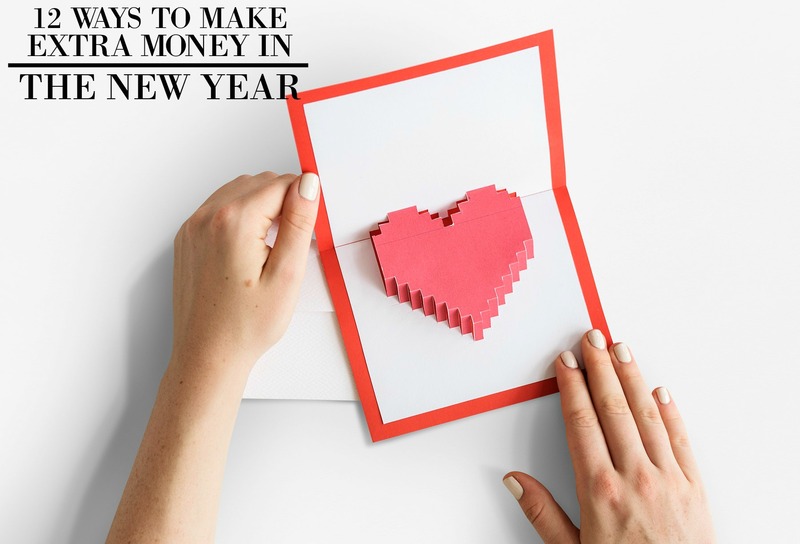 And because I also love the idea of making extra money, I’ve gathered some amazing ways to make more money this year. These are ideas that’ll help you pay off debt, improve your savings, and achieve financial goals. So check them out and let me know what you think! Whether you’re a pro or an amateur photographer, why not turn your hobby into an income stream? You can sell your photos to stocks websites, set-up photography classes for newbies, and shoot for different celebrations. Take advantage of these opportunities and earn even more money. Where a traditional job might limit your hours and pay substantially, driving for Uber makes it possible to work more or less if you want – and potentially earn more. You just need a car, sign up for an Uber application, and start driving. Everything is done over your mobile app so it makes things so much easier. If you’re good at cooking, try catering for some dinner parties or celebrations. Show off your cooking skills and make Gordon Ramsey proud. You can also check out Pinterest for some easy and yummy recipes that you can make. As you know, our full-time job as bloggers started as a side hustle. So, if you know that you’re good at writing and sharing content, consider starting a blog. It’s fun, easy, and if you work hard, you can earn so much money. For more tips and advice on blogging, check out my post on how I made $3,000 in the third month after my blog launched here! If you have an extra room in your house or if you’re going to be on a month-long vacation, consider renting out your home on Airbnb. You can earn money and meet interesting people from around the world at the same time. And if your house is near an attraction, you make some good profit. If you can make cool bags, artwork, stationery items, and other crafty products, sell them on Etsy. There’s a great market on this site and you can set your own prices. This job lets you pretend that you’re an ordinary shopper while you’re evaluating the customer service, quality, and attentiveness. Companies will pay you for getting the insights they need based on what you like and don’t like. By simply answering online surveys, companies will pay for your opinion and insight and you can get around $40 – $80 a month. Usually, the survey topics include travel, politics, shopping experiences, and entertainment, so it can be done easily. Now, if you have any other ideas on how to bring in some money easily, let me know in the comment down below! I’d love to hear about them!